Gwersyll yr Urdd Glan-Llyn Outdoor Pursuits CentreGwersyll yr Urdd Glan-llyn is a multi activity centre situated on the shores of Llyn Tegid, near Y Bala, a mile from the village of Llanuwchllyn in the shadow of the Aran and within Eryri, Snowdonia National Park. 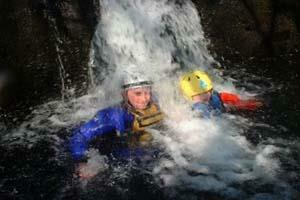 It is an ideal location for all types of holidays and activity courses. Gwersyll yr Urdd Glan-llyn is a multi activity centre situated on the shores of Llyn Tegid, near Y Bala, a mile from the village of Llanuwchllyn in the shadow of the Aran and within Eryri, Snowdonia National Park.